Peltospira operculata is a species of sea snail, a marine gastropod mollusk in the family Peltospiridae. 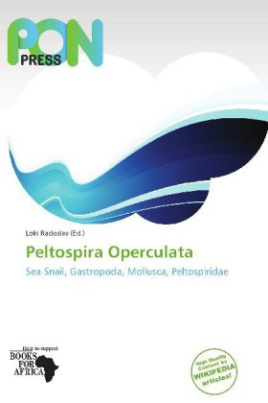 Sea snail is a common name for those snails that normally live in saltwater, marine gastropod molluscs. (The taxonomic class Gastropoda also includes snails that live in other habitats, i.e. land snails and freshwater snails.) Sea snails are marine gastropods that have shells. Those marine gastropods that have no shells, or have only internal shells, are variously known by other common names, including sea slug, sea hare, nudibranch, etc.